Manchester United continue to be linked to a number of players prior to the opening of the winter transfer window in January. One player who has been strongly linked with a move to Old Trafford over the past couple of months is Arsenal’s Mesut Ozil. The 2014 World Cup winner is heading into the final six months of his contract at the Emirates Stadium with no signs that he is going to put pen to paper on a new deal. Failure to sign a new contract by January would allow Ozil to speak to foreign clubs regarding a move on a free transfer at the end of the season. This would also allow us to sign Mesut Ozil on a free transfer in the summer should he not agree a new deal in North London or abroad. 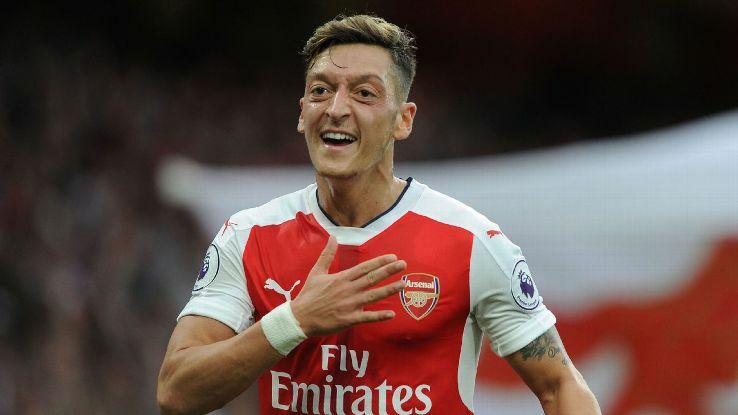 It has also been suggested that we could pay as much as £17.7 million in January in order to lower the risk of missing out on Mesut Ozil on a free transfer to another big European club. “As long as they are here, they give their best for the club. If Mesut Ozil is not to be sold in January it means that he will almost certainly be available on a free transfer in the summer, assuming he won’t renew his deal in North London. Jose Mourinho has worked with Ozil successfully in the past. He brought the German to Real Madrid when he was appointed their manager in 2010. The playmaker was among the assists in La Liga during his time working with the Portuguese coach and generally considered a World Class player. With Henrikh Mkhitaryan drastically out of form to the point that he been dropped from the number 10 role to the bench in recent weeks, Mourinho may see Ozil as his preferred option here for next season.